Voiceless has been a leader in animal law in Australia since 2004, hiring Australia’s first animal lawyer and engaging with high-profile international legal experts through the Voiceless Animal Law Lecture Series. For animal advocates, the study and practice of Animal Law presents the opportunity to utilise new and existing legal remedies to better protect animals from cruelty, neglect and exploitation. Animal Law is the field of law that seeks to govern the interactions between human and nonhuman animals. It covers a diverse array of domestic and international legal issues, arising in statutory, judicial, executive, regulatory and theoretical contexts. Over the past decade, Animal Law has become an established and distinct area of law. A growing number of reputable domestic and international educational institutions are teaching Animal Law, with 15 universities in Australia and 165 universities in North America have offered an animal law course. Today, thousands of students across the globe are graduating from law schools having studied Animal Law, with class sizes growing every year. There has also been a proliferation of scholarly writing on Animal Law, the publishing of multiple Australian and international textbooks, academic conferences, and an ever-expanding list of individuals and organisations dedicated to the study and practice of Animal Law. WHY DO WE NEED ANIMAL LAWYERS? As our understanding of animal behaviour and intelligence has increased, so too has the acceptance in the scientific community that animals are sentient creatures who should be able to live free from suffering and abuse. Unfortunately, we live in an era where more animals are suffering than ever before. Both Australian statute and common law classify animals as ‘things’ or property. Humans, on the other hand, are classified as ‘legal persons’. This distinction is crucial, as legal personhood determines who counts for legal purposes. The thinghood of animals permits them to be exploited by humans in numerous ways – whether in the course of providing our food, clothes, cosmetics or entertainment; furthering our scientific knowledge or curiosity, or preserving our religious or cultural norms. Animals suffer immensely as a result. As it is the law that permits and, in many respects, actively perpetuates this suffering, so the law has the capacity to be a driving force for change. Animal lawyers play an important part in advocating for such change. This can be done through a variety of actions including, but not limited to, writing submissions on government policy, advocating for progressive legal reforms, or representing the interests’ of animals in legal proceedings or commercial and private matters. HOW IS THE LAW FAILING ANIMALS? Australia’s animal protection legal framework is failing animals, particularly the 600 million animals currently confined in factory farms across the country. Australia presently lacks any Federal Government leadership in the animal protection space. While states and territories have implemented anti-cruelty statutes that attempt to prohibit animal cruelty and neglect,3 animals used for food production are deliberately excluded from even these modest protections. Generally speaking, these industry guidelines are largely developed by animal use industries for animal use industries, and often with the assistance of industry funded or commissioned animal welfare science. As a result, industry guidelines legalise a raft of otherwise cruel practices that would be illegal if they were inflicted upon domestic cats or dogs. This means that standard husbandry practices – such as intensive confinement (like the use of battery cages and sow stalls), mutilation without pain relief, and brutal slaughter methods – are all legalised forms of animal cruelty. There are plenty of ways to get involved with the Voiceless Animal Law Education Program. You can volunteer, participate in our internship program, invite us to deliver an animal law presentation, and much more. Click here for further information. The law is clearly failing animals, but we have the capacity to change it. As the law is a reflection of societal values, it is the work of social justice movements to challenge existing norms and inspire change. Right now there is a growing number of intelligent, passionate and compassionate animal advocates fighting for animal justice. Whether or not you are a lawyer, you have the potential to create a better world for animals. You can do this by lobbying for government leadership in the animal protection space, for stronger legal protections for animals, for greater levels of enforcement, and for tougher criminal sanctions imposed on animal abusers. Here are some of the ways in which you can use your legal skills to alleviate the suffering of animals. Learn more about animal law by reading our Animal Law Toolkit or viewing one of our inspiring Animal Law Lectures. To find out where you can study animal law in Australia, click here. And to keep up to date with all things animal law, join the discussion on Voiceless Animal Law Talk. Many of Australia’s major animal protection groups employ individuals with a legal background, whether it be to prosecute against animal cruelty, to advocate for policy and law reform, to educate the community on Animal Law related matters, or as in-house corporate counsel. Stay informed, and keep a look out for future opportunities! There is an ever-growing variety of events relevant to Animal Law. In addition to lectures, presentations, panel sessions and festivals, Animal Law conferences are an excellent way to learn more about the issues and to network with likeminded advocates. If there are no events in your local area, then organise one yourself! View one of Voiceless’s inspiring Animal Law Lectures. Contact Voiceless to arrange for a talk at your event. To learn more about animal law, see our suggested reading list. Many animal protection groups accept legal volunteers or interns to conduct research, draft submissions, manage online discussion forums, assist with events, or provide support with in-house legal matters. If you are a law student or lawyer who is able to offer research capacity or pro bono legal services, contact animal protection groups. If you are an animal protection organisation offering volunteer legal positions, you can advertise on Voiceless Animal Law Talk. There are many opportunities to advocate for greater legal protections for animals. These include writing a letter to your local, state or federal member of parliament; organising a petition; using social media; contacting a newspaper or radio station, or initiating an educational campaign at your university or workplace. Get active online or on social media by creating and sharing Animal Law or animal protection related content, or using online advocacy tools provided by animal protection groups, like online petitions, pledges and targeted emails to key decision makers. Join Voiceless Animal Law Talk, which is a forum for lawyers, law students and academics interested in Animal Law. Stay up to date by connecting with Voiceless on Facebook, Twitter, Instagram or by signing up to our newsletter. Before Parliament enacts reforms to existing animal law, public submissions will often be sought. This is an excellent opportunity for you to put forward a well-researched and articulated submission on an animal protection issue and influence law reform. Read our step-by-step guide on how to prepare a submission, or read previous Voiceless submissions. If there is a particular animal protection or Animal Law issue that interests you, consider writing an article for your local newspaper, university magazine, local law society journal, or an academic journal. Study Animal Law or a related subject at university. If your university does not offer Animal Law, study by correspondence or petition your law faculty to introduce an elective. You can also join or establish an animal protection or Animal Law group on campus. Find out which universities teach Animal Law. Contact Voiceless to help petition your university to teach Animal Law. Run or participate in an Animal Law competition, such as the Australian & New Zealand Intervarsity Moot on Animal Law. If you are a legal academic or practitioner and have a passion for animal protection, consider teaching a course in Animal Law. Prominent Australian universities have taught or are currently teaching Animal Law, and this number will increase along with student interest in animal protection issues. Contact Voiceless to find out how you could go about establishing and running an Animal Law course. If you work at a law firm, you may be able to get involved in Animal Law through your firm’s pro bono program. Some firms also encourage internal interest groups, which may allow you to join or establish an Animal Law focus group with your work colleagues. You may also have the opportunity to fulfil CPD points by attending or running an Animal Law related workshop or presentation. Contact Voiceless to arrange for a talk at your workplace. Animal Law groups are an ideal way of meeting fellow advocates and learning more about Animal Law. Groups are often associated with a local community center, university or state or territory law society. These groups will allow you to get directly involved in Animal Law related projects or events. Use our Animal Law Toolkit to find an Animal Law group near you, or consider establishing one yourself at your university, workplace or state or territory law society. 1. David S Favre, ‘The Gathering Momentum’ (2005) 1 Journal of Animal Law 6. 2. The Sydney Morning Herald, ‘A late-life epiphany for Michael Kirby’ (17 December 2011) Sydney Morning Herald < http://www.smh.com.au/environment/animals/a-latelife-epiphany-for-michae… > accessed 26 May 2016. 3. See also, Animal Welfare Act 1992 (ACT); Animal Welfare Act 1999 (NT); Animal Care and Protection Act 2001 (QLD); Animal Welfare Act 1985 (SA); Animal Welfare Act 1993 (TAS); Prevention of Cruelty to Animals Act 1986 (VIC); Animal Welfare Act 2002 (WA). 4. Which include the various Model Codes of Practice for the Welfare of Animals and the Australian Animal Welfare Standards and Guidelines. Voiceless was founded by the father-daughter team, Brian and Ondine Sherman. United by their passion for animal protection. Voiceless has been at the forefront of the Animal Law movement since 2004. With educational programs for law students and animal protection education (APE) for educators, Voiceless helps people understand the relationship between human and nonhuman animals. Divorce: Who gets the dog? 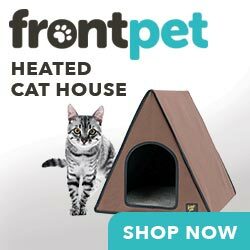 USA PET LOVERS - Get Free Shipping at FRONT PET!